BRCA1 and BRCA2 mutations have been shown to confer an increased risk for ovarian, fallopian tube, and primary perineal cancer. As a result, guidelines recommend bilateral salpingo-oophorectomy (BSO) upon completion of child bearing, and preferably between the ages of 35 and 40 years as a risk-reducing option.1 However, what has been less clear is the association of uterine cancer with BRCA. The data have been conflicting: some studies have suggested a slight increased risk, but others have not.2-5 Therefore, hysterectomy has not been included in national medical management guidelines. Using a multicenter, prospective cohort study design, the authors analyzed data from 1083 BRCA-positive women (627 BRCA1-positive, 453 BRCA2-positive, 3 both BRCA1-positive and BRCA2-positive) who had undergone a risk-reducing BSO. These women had not undergone a prior or concomitant hysterectomy. The observed incidence of uterine cancer in the cohort was compared with Surveillance, Epidemiology, and End Results (SEER) database-expected incidence. Stratification was performed, and included, among a variety of factors, classifying the observed and SEER cases into 1 of 5 histologic categories: endometrioid endometrial carcinoma, serous/serous-like endometrial carcinoma, clear-cell carcinoma, mucinous carcinoma, or uterine sarcoma. Carcinosarcomas were included in the serous/serous-like category, and endometrial carcinomas with mixed histologic features containing a serous component were also classified as serous/serous-like. Analysis also stratified for factors such as personal history of breast cancer, and prior tamoxifen use. Although the development of any type of uterine cancer in carriers was not significant, a significant risk was found between BRCA1 carriers and serous/serous-like endometrial carcinoma. A similar significance was not seen with BRCA2 carriers. In addition, an increased risk was not shown for endometrioid endometrial cancer or sarcoma. The association of BRCA1 mutations with serous/serous-like endometrial cancer is further relevant because endometrial cancer behaves differently. Annually, serous/serous-like endometrial cancer represents only approximately 10% of endometrial cancer cases; however, these cases are often associated with aggressive disease and a poor prognosis. The authors estimate the penetrance of serous/serous-like endometrial cancer through age 70 years in women with BRCA1 mutations to be at least 2.6%. It is important to keep in mind that this study had few observed cases of serous/serous-like endometrial cancer. Thus, there are statistical limitations in calculating risk estimates. Confounding by a history of tamoxifen exposure and/or breast cancer also remains a possibility. Additional studies are needed to help better quantify the risk, but it is becoming clear that a risk for endometrial cancer does exist for individuals with a BRCA1 mutation.7 If these results are confirmed by future studies, it is likely that hysterectomy with BSO will become the risk-reducing surgical approach for women who are BRCA1-positive. However, for BRCA1-positive women who previously underwent a risk-reducing BSO without concomitant hysterectomy, the decision is less straightforward. For these women, the risks, adverse effects, and cost of a second—versus concomitant—surgery need to be considered. Although it is unlikely that experts will change national guidelines to recommend hysterectomy for women who are BRCA1 carriers unless additional studies support these findings, clinicians should be aware of the data, and open to discussing them with BRCA1-positive patients when developing a personalized risk management plan. National Comprehensive Cancer Network. NCCN Clinical Practice Guidelines in Oncology (NCCN Guidelines). Genetic Familial High-Risk Assessment: Breast and Ovarian. Version 2.2016. www.nccn.org/professionals/physician_gls/pdf/genetics_screening.pdf. Accessed July 19, 2016. Goshen R, Chu W, Elit L, et al. Is uterine papillary serous adenocarcinoma a manifestation of the hereditary breast-ovarian cancer syndrome? Gynecol Oncol. 2000;79:477-481. Levine DA, Lin O, Barakat RR, et al. 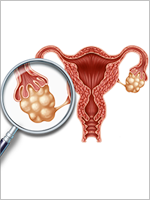 Risk of endometrial carcinoma associated with BRCA mutation. Gynecol Oncol. 2001;80:395-398. Segev Y, Iqbal J, Lubinski J, et al; Hereditary Breast Cancer Study Group. The incidence of endometrial cancer in women with BRCA1 and BRCA2 mutations: an international prospective cohort study. Gynecol Oncol. 2013;130:127-131. Pennington KP, Walsh T, Lee M, et al. BRCA1, TP53, and CHEK2 germline mutations in uterine serous carcinoma. Cancer. 2013;119:332-338. Shu CA, Pike MC, Jotwani AR, et al. Uterine cancer after risk-reducing salpingo-oophorectomy without hysterectomy in women with BRCA mutations. JAMA Oncol. 2016 Jun 30. Epub ahead of print. Leath CA, Huh WK, Alvarez RD. Drawing the line in risk-reducing gynecologic surgery in women with a BRCA mutation. JAMA Oncol. 2016 Jun 30. Epub ahead of print.